Happy New Year! When are you going to Change? Happy New Year! I know some of you may have been wondering what I have been doing for the last 30 days. Why no inspiring words to kick-off 2012. One of the things I felt that I needed to do was take some time off for some self-relection, and prayer to figure out what direction I wanted the blog to go for 2012. This might be important for some of you, especially if your life is a constant treadmill, roller coaster. Sometimes you need a little break to figure where you life is going; where you relationship is going. I believe in empowerment when it comes to marriages and relationships. 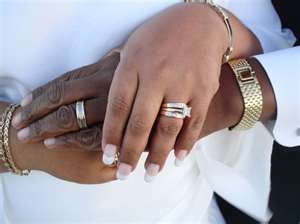 I would like to see more people get married, especially in the black community. According to a New York Times article (December 10, 2011) 2009 data from the Census Bureau states 70.5 percent of black women in the United States between the ages of 25 and 73.1 percent of black men between the ages of 25 and 29 have never been married. So this year, I am going to devote a day to my single friends. Empowering them to go on that date, make a personal change in order to move those statistics in a better direction, so Ralph Richard Banks, a Stanford law professor,who wrote, “Is Marriage for White People?” will have a new story to tell. Another change is I will dedicate a column that will focus on faith in marriage. Marriage takes a certain amount of faith and belief in each other to make it work. So why not write about it. I hope you like the new changes and let other people know what we are trying to do at Strivetwosucceed. I appreciate all of you that read this blog. Let’s make it a great 2012.